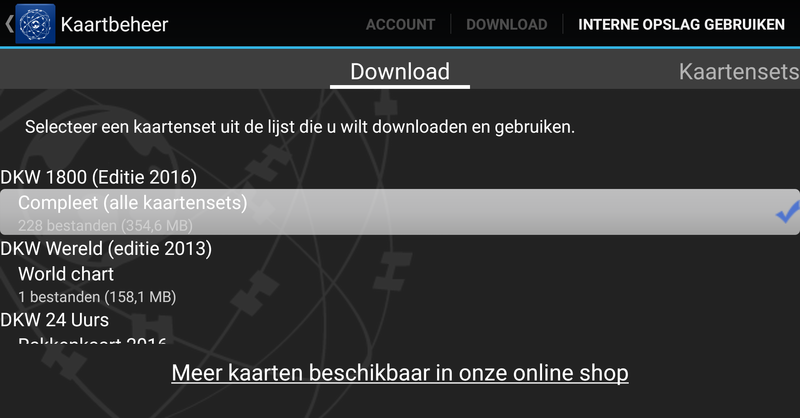 After purchasing a DKW Chart set upgrade, you can install them directly. All updates will be applied to this set during the course of the coming year. Installing your digital chart in WinGPS 5 is made easy with the DKW Manager. Please make sure you have the latest version installed and choose 'Install/update'. Next, choose the first option: 'DKW2 charts from the internet'. Follow the steps on your screen and your charts will automatically be downloaded and installed. In WinGPS Marine you can install the chart set by going to the 'chart manager' and afterwards go to the left-most screen 'Download' to see all your available charts. Click on the desired chart you want to install and click 'download' at the top right of you screen. To make optimal use of your navigation software, we advise you to remove older editions of your charts as soon as possible. By doing so, you will never be sailing on old chart information by accident. In DKW Manager choose 'uninstall' and select the old editions. In WinGPS Marine go to the download screen at the chart manager, select the chart you want to uninstall and click 'delete'. If you don't see the delete button, click on the icon on the top right of your screen and it will become visible. Is your navigation ready for the new sailing season? DKW The Netherlands 2019 available now! Service Card 2019: available for one more week! DKW Imray series 2019 now available!